3 How do you know if you have IBS? IBS affects 10-20% of the population and is considered a functional gastrointestinal (GI) disorder with symptoms of abdominal pain and excessive or infrequent bowel habits.1 IBS is differentiated from IBD or inflammatory bowel disease (Crohn’s and Ulcerative Colitis) in that there is no underlying inflammation, physical defects such as ulcers or rectal bleeding, or scarring. IBS which appears in adolescence or early adult years tends to wax and wane, is related to stress that causes additional emotional distress, does not cause weight loss, fever, or rectal bleeding, and does not occur at night. In those cases, an alternative diagnosis must be sought. Altered bowel habits such as constipation with hard stools of narrow caliber, pain with bowel movements, infrequent bowel movements and poor response to laxatives. Diarrhea with frequent and loose stools associated with urgency after meals are additional findings. The abdominal pain can be diffuse and located in the left lower abdomen, sharp or dull. Meals initiate the pain and defecation relieves the pain. Abdominal bloating and distension are common features, especially in women, but not required for diagnosis. Mucus production and abdominal bloating are additional features of IBS, but not diagnostic of any particular sub-type. People in one category can change their subtype if their symptoms change over time. IBS is often a diagnosis of exclusion, meaning that other gastrointestinal disturbances must be ruled out, especially if the symptoms persist beyond a couple of weeks. Most diarrhea and constipation will improve within days so a trip to your doctor is mandated if it continues for weeks.If you have fevers, bloody diarrhea, an inability to keep clear liquids down, nausea, vomiting, or severe abdominal pain, you should see a doctor immediately. The symptoms of IBS in women can be aggravated or made worse depending on the age and menstrual status. The onset of menarche – the first menstrual period – is the result of the pituitary gland and the hypothalamus, two organs in the brain, secreting hormones that trigger the ovaries to produce estrogen (E) and progesterone (P). Both hormones are necessary for fertility and menstruation, in the case of a lack of fertilization. Progesterone causes slower gut transit time.2 Progesterone levels peak at the time of egg release (ovulation), when constipation is more likely. Conversely, when both progesterone and estrogen levels drop prior to the onset of menses, crampy diarrhea may result, and be aggravated by the prostaglandin release during menstruation. Often, the cramps of menstruation, from prostaglandin release, can mimic the cramps before bowel movements or trigger the loose bowel movements themselves. In women, endometriosis is often confused with IBS and women with endometriosis are more prone to IBS during flares. Endometriosis is a poorly understood disease that results when menstrual blood or the uterine lining implants on structures outside of the uterus resulting in pain, scarring, and infertility. Pregnancy is a time of increased IBS symptoms in women due to high and sustained levels of progesterone and estrogen throughout all trimesters. The gallbladder is also affected, which further delays the digestive process. Because fluid demands increase by over 50%, dehydration can contribute to constipation symptoms. Newer diagnostic criteria like Rome III and IV are intended to be gender neutral. Men and women may experience identical intestinal disturbances. Like women, men with IBS may experience sexual intimacy problems, work-related absences, home, and social dysfunction. They are more likely to experience depression due to the symptoms of IBS. Can IBS cause blood in stool? 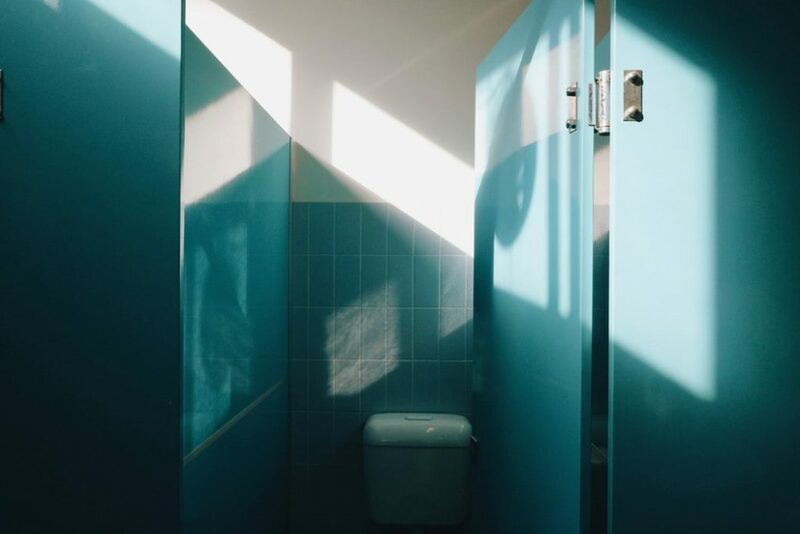 Blood in the stool or on your toilet paper after bowel movements can occur in IBS but is likely related to constipation-induced hemorrhoids or small tears, called fissures, from hard stools and straining. For many, the best way to avoid rectal bleeding is to avoid spicy foods, alcohol, and frequent meat ingestion, while increasing fiber intake with beans, legumes, and vegetables that provide roughage. Other solutions are to increase hydration and magnesium intake, since most people are magnesium deficient and rarely drink enough water. The pain associated with IBS can be localized to one area or be more diffuse. Discomfort can be sharp, dull, or crampy or a combination that changes from day to day. IBS used to be called ‘spastic colon’ or ‘spastic colitis,’ indicating that the muscles of the bowel twitch or spasm in response to certain triggers. The pain can start after meals and increase right before having a bowel movement. It is often relieved by bowel movements, although the actual bowel movement can temporarily increase the pain. The mechanism that causes the pain is thought to be due to the spastic muscle contractions of the GI tract. When gas or solid contents move through the colon, the distension pushes the walls outward and this stretches the nerves of the GI tract, sending pain signals to the brain. Some nervous systems are more sensitive to the normal transit of digested food, which may be reflected in the type of food ingested. IBS cramping usually precedes bowel movements, but can occur during one, especially with diarrhea. Irritable bowel syndrome can be felt as back pain because the nerves that supply the colon arise from the spinal nerves that also supply the back muscles. When the nerves are triggered from the colon as a result of bloating, cramping, gas, constipation, and diarrhea, they send signals back to the spinal cord and brain that can confuse the person as to where the pain arose in the first place. This is called referred pain, similar to the jaw or left arm pain experienced when someone is having a heart attack. Dietary changes are the mainstay of treatment strategies. These therapies and this involves limiting sugars found in dairy such as lactose, gluten, sorbitol, fructans, hydrolases, and raffinose. These sugars are known as FODMAPs that stands for fermentable, oligosaccharides, disaccharides, monosaccharides, and polyols. Read more on the FODMAP diet. This means that milk and other dairy products can cause gas and bloating, since the lactose gets broken down by bacteria in the large intestine. Soft dairy products, such as cottage cheese, sour cream, cream cheese, and ice cream tend to be higher in lactose than hard cheeses. Any fruit or other food that is high in fructose, a type of sugar, can cause problems in people with IBS. These include broccoli, Brussels sprouts, cabbage, cauliflower, kale, artichokes, onions, peppers, leeks, and asparagus. Probiotics are particularly useful for IBS-C and IBS-D. They correct abnormalities of the microbiome that can lead to IBS symptoms. The recommended supplement has a combination of lactobacillus and bifidobacterium with 10 billion colony forming units (CFU) and is enteric coated to prevent stomach acid from killing the bacteria. Read our in-depth coverage of probiotics here. Psyllium supplements, a natural fiber found in Metamucil, can help all three types of IBS by increasing the stool caliber in diarrhea and drawing fluid into the intestines in the case of constipation. Adequate fluid intake is essential when a fiber is added according to the American Gastroenterological Association in a September 2017 study published in the International Journal of Molecular Medicine. Acupuncture can calm down the nervous system in people with IBS-C and IBS-D, electro-acupuncture can reduce stool frequency by sending a mild current through the acupuncture needles. CBT Cognitive Behavioral Therapy or CBT and other psychiatric interventions have shown utility for the symptoms of IBS. Hypnotherapy, dynamic psychotherapy, yoga, and relaxation techniques have been used but their utility has not been substantiated. Bercik P, Verdu EF, Collins SM. Is irritable bowel syndrome a low-grade inflammatory bowel disease? Gastroenterol Clin North Am. 2005 Jun. 34 (2):235-45, vi-vii. [Medline]. Detailed references can be found in our coverage of the FODMAP diet for IBS and IBD. 5 Foods to Avoid if You Have IBS. Johns Hopkins Medicine. September 27, 2018. Eat Any Sugar Alcohol Lately? Yale New Haven Health. Fruits with a big pit – or stone – in the middle. Ruepert L, Quartero AO, de Wit NJ, van der Heijden GJ, Rubin G, Muris JW. Bulking agents, antispasmodics and antidepressants for the treatment of irritable bowel syndrome. Cochrane Database Syst Rev. 2011 Aug 10. CD003460. [Medline]. Ford AC, Quigley EM, Lacy BE et al., “Efficacy of prebiotics, probiotics, and synbiotics in irritable bowel syndrome and chronic idiopathic constipation: systematic review and meta-analysis. Am J Gastroenterol. 2014 Oct. 109 (10):1547-61; quiz 1546, 1562. [Medline]. Benjamin, J., Makharia, G., Ahuja, V., Anand Rajan, K., Kalaivani, M., Gupta, S., & Joshi, Y. (2011). Glutamine and Whey Protein Improve Intestinal Permeability and Morphology in Patients with Crohn’s Disease: A Randomized Controlled Trial. Dig Dis Sci, 57(4), 1000-1012. Liu ZH, Qi AZ,Li ZR et al. Pathological analysis of Irritable Bowel Syndrome in Chinese Medicine [J] Shaanzi Journal of TCM,2005,26(9):974–975. Kimberly Langdon M.D. is a retired University-trained obstetrician/gynecologist with 19-years of clinical experience. She graduated from The Ohio State University College of Medicine and then completed her OB/GYN residency program at The Ohio State University Medical Center. She was awarded first-place for her senior research project and placed in the 98th percentile among residents in OB/GYN in the United States. She delivered over 2000 babies to mothers in a suburban Midwestern community. Beside obstetrics, she specialized in gynecologic diseases such as menstrual disorders, vaginitis, infertility, menopause, contraception, pelvic pain, sexually transmitted infections, and minimally-invasive surgeries. She writes extensively about health and medical related topics including sites such as parentingpod.com and guthack.com. Recent articles include Irritable Bowel Syndrome, Crohn’s Disease, Ulcerative Colitis, Bulimia, A, and Binge-Eating Disorder. She is Founder of Coologics, Inc. “The Self-Health Company”, a medical device company. She is the inventor of six patent-pending medical devices for both life-threatening and non-life-threatening conditions. Her products are the first and only non-chemical cure for treating microbial infections such as vaginal yeast infections. The devices work faster and more effectively than current drug-based therapies and relieve the symptoms immediately. It will be on shelves in your pharmacy in 2020.